So Jeff requested I repost the G.I. Joe movie review I originally posted over here. I guess, since it is the #1 movie in America, and that S.I. contributor Larry Hama was a consultant on the film (though his onscreen cameo* was left on the cutting room floor! Unconscionable! ), it is tangentially related enough to Secret Identities to be posted here. I guess. *to check out footage of Larry’s cameo, see this behind-the-scenes video in which Larry discusses how he came to the world of the Joes. OK, first up, shocker of shockers, I actually kind of liked the movie. Don’t get me wrong, it wasn’t good (at all), but it was undeniably fun. (Full disclosure, I saw the move for free at a vintage-style drive-in with some cool friends, so these factors could have attributed to the enjoyment factor). I think I liked it on a visceral level (similar to why I was a fan of the cartoon, methinks–which also, when you really get down to it, weren’t very good either). Of course, I would have preferred a movie that adhered a little closer to Larry Hama’s epic comic stories (especially his version of the Snake Eyes-Storm Shadow relationship), but that’s probably asking too much. I’ll say this, if you enjoyed the cartoons, you’ll like the movie. My brother Raymond observed too that if you were a 12-year-old, the cinematic G.I. Joe experience would have been a revelation. And I can’t disagree. There’s just something geeky cool about seeing all the cool vehicles and weapons wreaking havoc and blowing up cities. And you can’t leave out the badass katana fights–ninjas make everything better after all. The one thing the movie got right, unlike Transformers, is that each of the characters had a distinct personality. Even if they were all wearing black leather, X-Men suits, each character on the Joe team–Scarlett, Snake Eyes, Breaker, and Heavy Duty- -had a unique role and function. I actually kind of wish the movie was more about them than the two leads we got–Channing Tatum’s Duke and Marlon Wayans’ Ripcord. Tatum takes the notion of “wooden acting” to a whole new level. Seriously, this dude makes Hayden Christensen seem like a dynamic thespian. And while Wayans’ Ripcord was a likable character, I would have liked him more if he weren’t channeling 1997-era Will Smith. I was also disappointed in Dennis Quaid’s General Hawk. Hawk was one of my favorite Joes growing up, and Quiad just sleepwalks through the whole thing. And also, would it have been so bad to let him wear a brown bomber jacket and green camo pants for just one scene in the flick? Is that asking too much? On the Cobra side of things, I thought Sienna Miller was okay as Baroness (though I would have preferred the vague, eastern European accent she had on the cartoon) and dug Christopher Eccleston’s snively, conniving interpretation of Destro. I’m undecided about Joseph Gordon-Levitt’s Cobra Commander. He was appropriately over the top, but I couldn’t get passed the redesign of the character, especially during the supposedly iconic reveal of him as “The Commander.” I think that scene would have worked better if JG-L was wearing a mask that actually evoked one of Cobra Commander’s many looks and not the weird, clear skull-looking helmet they gave him. I guess my problem with Cobra Commander and the Neo-Vipers is the same problem I have with the robot model designs in Transformers, namely that they are over-designed. I mean, the Cobra Trooper look is pretty hard to mess up. They’re wearing blue military uniforms and blue helmets with red or black scarves over their faces! Why make them look like Imperial Stormtroopers crossed with an armadillo? 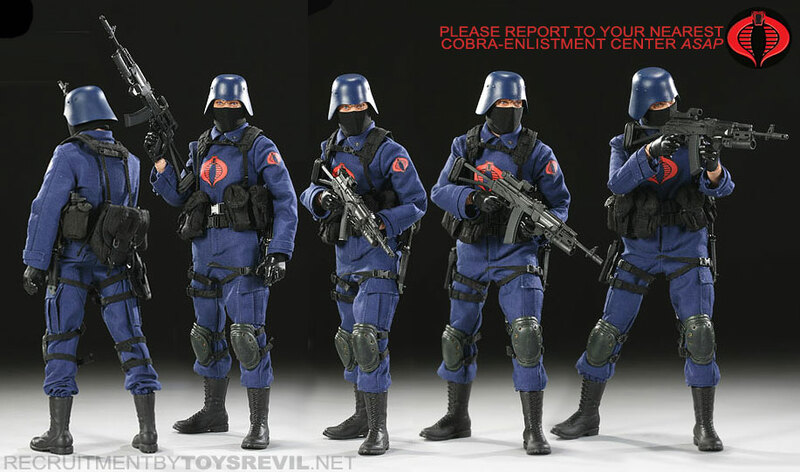 I figured the looks of the Joes and Cobras would not be so difficult to translate to live action, so I don’t understand the need to redesign everything. Some designs are iconic enough to stay the same, no? I mean they got the looks of Baroness, Snake Eyes and Storm Shadow (for the most part) right, so why not the others? So what did I like? Honestly, I liked the little touches. The most geek-out moment for me was when Breaker asked for a piece of gum and blew a bubble while in the car. I thought that was awesome! A nice little touch for the fans. 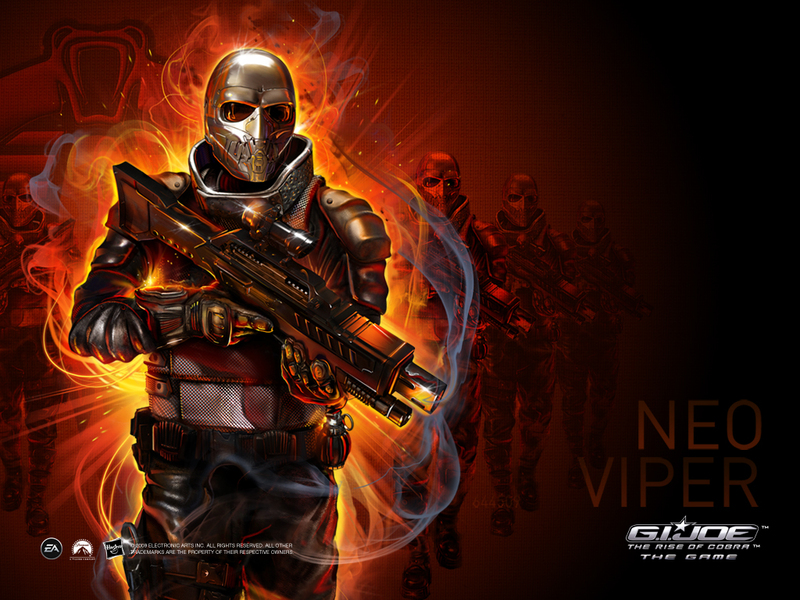 I thought Snake Eyes was pretty cool (despite the mouth on the mask and lack of UZI. Seriously, Snake Eyes packs a glock? WTF?). I do wish the backstory of Snake Eyes and Storm Shadow wasn’t as simplistic as the movie made it seem. But it was serviceable. I hope there’s more focus on them in Part 2. Basically, I want a Snake Eyes movie. (Hey, if all the X-Men movies can be about Wolverine, than all the Joe movies can be about Snake Eyes!) And Snake Eyes looks absolutely badass in a hood and trenchcoat! I liked that the Night Raven, the C.L.A.W., the S.H.A.R.C.s, and the U.S.S. Flagg all made appearances. And Baroness’ tricked out HumVee was essentially a modern version of the Cobra Stinger. The Pit was pretty cool too. I also liked that the Joe’s arctic gear resembled Snow Job’s. Bottom line: it was a bunch of dumb fun. I really wanted to dislike the movie, but I have to admit I was entertained for two hours. It was definitely better than both Transformers movies, and there’s a (naive) part of me that hopes they fix what they got wrong for the sequel. What can I say? At heart, I’m a diehard Joe fan. Larry Hama practically defined my childhood. I was gonna like it no matter what. I’m with you on the sequel. I hope they also get him with Scarlett…and fix Cobra Commander’s look.. They should’ve put Serphentor in it though, As well as BeachHead and Gung-Ho….But regardless, I’m with both of you….I’m a die hard joe fan as well…..